The C-A-T® is a true one-handed tourniquet proven to be 100% effective by the U.S. Armys Institute of Surgical Research. Tests proved that the C-A-T® completely occluded blood flow of an extremity in the event of a traumatic wound with significant hemorrhage. The C-A-T® utilizes a durable windlass system with a free-moving internal band providing true circumferential pressure to the extremity. Once adequately tightened, bleeding will cease and the windlass is locked into place. A Velcro® strap is then applied, securing the windlass to maintain pressure during casualty evacuation. The C-A-T®s unique dual securing system avoids the use of screws and clips which can become difficult to operate under survival stress or where fine motor skills are compromised. 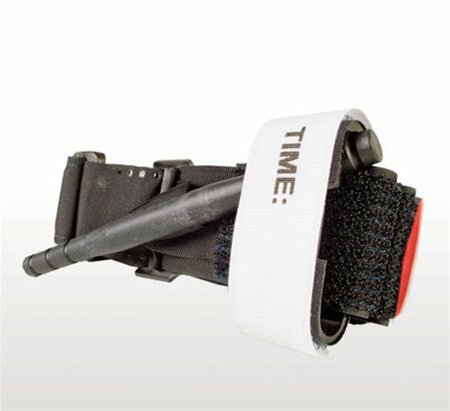 New Features include a Windlass Rod 2X as strong with increased diameter and improved grip, Re-enforced Windlass Clip & highly visible Security Tab with writable area to record the time of application, and Red elliptical tip to assist user in locating and threading during application.